Not so wordless. 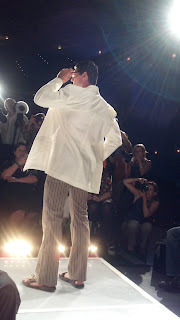 I took this shot from the runway and I love the lighting and the flashbulbs around the model. It's not often you get to see the other side.